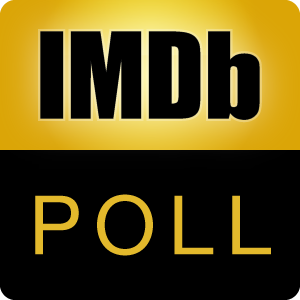 Poll: Favourite Criterion Collection title in the IMDb Top 250. Number 6 on the list. CC Spine 591. Number 19 on the list. CC Spine 2. Number 35 on the list. CC Spine 680. Number 38 on the list. CC Spine 543. Number 51 on the list. CC Spine 821. Number 54 on the list. CC Spine 565. Number 57 on the list. CC Spine 538. Number 74 on the list. CC Spine 30. Number 90 on the list. CC Spine 374. Number 96 on the list. CC Spine 799. Number 100 on the list. CC Spine 138. Number 107 on the list. CC Spine 52. Number 115 on the list. CC Spine 64. Number 125 on the list. CC Spine 838. Number 126 on the list. CC Spine 647. Number 128 on the list. CC Spine 221. Number 129 on the list. CC Spine 316. Number 130 on the list. CC Spine 615. Number 135 on the list. CC Spine 11. Number 141 on the list. CC Spine 139. Number 148 on the list. CC Spine 217. Number 156 on the list. CC Spine 135. Number 172 on the list. CC Spine 736. Number 173 on the list. CC Spine 61. Number 174 on the list. CC Spine 49. Number 182 on the list. CC Spine 36. Number 187 on the list. CC Spine 5. Number 191 on the list. CC Spine 701. Number 210 on the list. CC Spine 35. Number 215 on the list. CC Spine 140. Number 226 on the list. CC Spine 325. Number 228 on the list. CC Spine 381. Number 239 on the list. CC Spine 261 (as a boxset, including the TV, theatrical and making of). Number 246 on the list. CC Spine 190. Number 250 on the list. CC Spine 147.